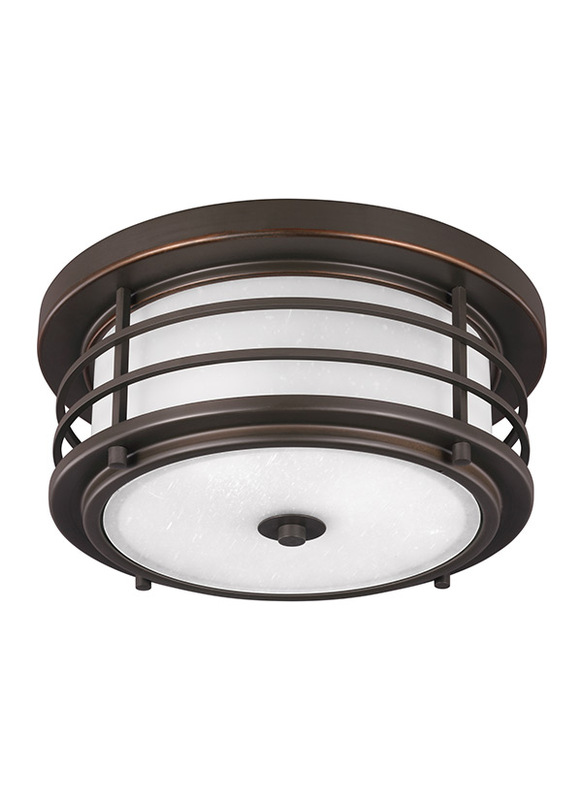 The Sauganash outdoor lighting collection by Sea Gull Lighting has a distinct industrial inspiration with an external cage detail finished in either Antique Bronze or Black finishes over Clear Seeded or Etched Seeded glass shades to complete the look. The assortment includes small and large one-light outdoor wall lanterns (available in Dark Sky versions too), a one-light outdoor post lantern, a one-light outdoor pendant and a two-light outdoor ceiling flush mount. Both incandescent lamping and ENERGY STAR-qualified LED lamping are available. Most of these fixtures easily convert to LED by purchasing LED replacement lamps sold separately. 2 Medium A19 75w Max.